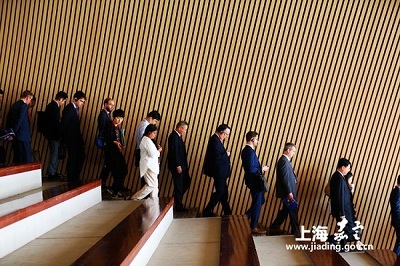 A group of over 50 foreigners from countries such as Portugal and Japan visited several landmarks in Shanghai's Jiading district including the Shanghai Jiading Baoli Grand Theatre on Oct 15. 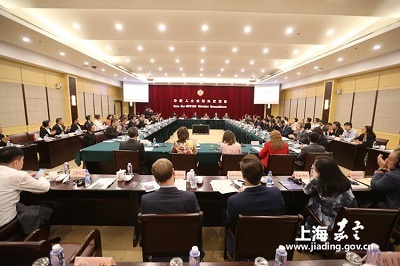 As a part of the "Into the CPPCC District Committees" series of activities organized by the Chinese People's Political Consultative Conference (CPPCC) of Shanghai, the visit in Jiading was aimed to improve foreigners' understanding of CPPCC's achievements. "This activity is rewarding. 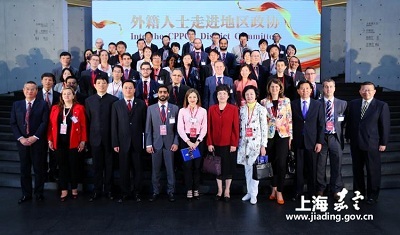 The urban construction in Jiading is really great and the achievements are all a credit to CPPCC," said Rashed Alqemzi, Consul-General of the United Arab Emirates in Shanghai. Dimitrios Michas, Consul of the Hellenic Republic in Shanghai, highly praised Jiading district CPPCC's efforts in both modernization and protecting historical relics.